This week we came to the end of Romans, looking at Paul’s plans, and the people who mattered to him. The temptation for some Christians is to think that what God’s really interested in is the inward life of his people. Romans 13 says that’s just not true. How our life together can make a difference in the world. ‘What about Israel?’ is a question Christians will argue over – sometimes furiously. In this sermon, we look at what Paul says. One of the things that we all find ourselves wondering from time to time is: Can I change? The Bible suggests a clear answer: Yes, we can change! How do we walk the line between Sin and Law? Is freedom a possibility? Paul takes us back to why we got in a mess in the first place, and how we can get out of it, and stay out of it. How do we help ‘good’ people – and we all think we are those people – make sense of why we need to hear and respond to the claims of Jesus. 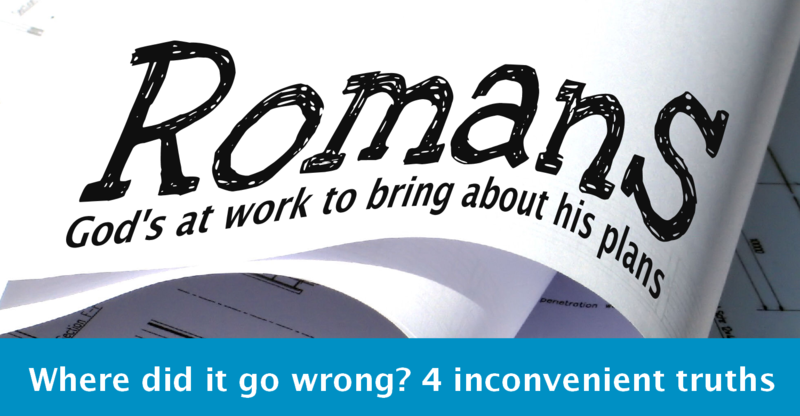 4 inconvenient truths of the gospel – truths that don’t seem to fit in our world easily.